When Sanju Samson fell soon after, being caught in the deep off Piyush Chawla, KKR were sniffing a turnaround. Rahane and Samson added 62 for the second wicket running the twos hard and never letting the asking rate get out of hand but KKR showed it ain’t over till it is over. Prasidh Krishna then conceded three runs in the 17th over and dismissed Stuart Binny and on way to a 25-run win, KKR had fought back from a difficult position. Again. They had done that with the bat too riding on Dinesh Karthik’s patience and Andre Russell’s panache. Karthik held the innings together with Shubman Gill, the duo adding 55 for the fifth wicket when all looked lost. The KKR skipper made 52 off 38 balls with four fours and two sixes and Gill made a 17-ball 28 that was worth much more given the circumstances in which it came. Then Russell provided turbo power in the end, his 49 coming in 25 balls with three fours and five sixes; the one slapped back off Jofra Archer in the 19th over encapsulating the kind of power those big hands can generate. 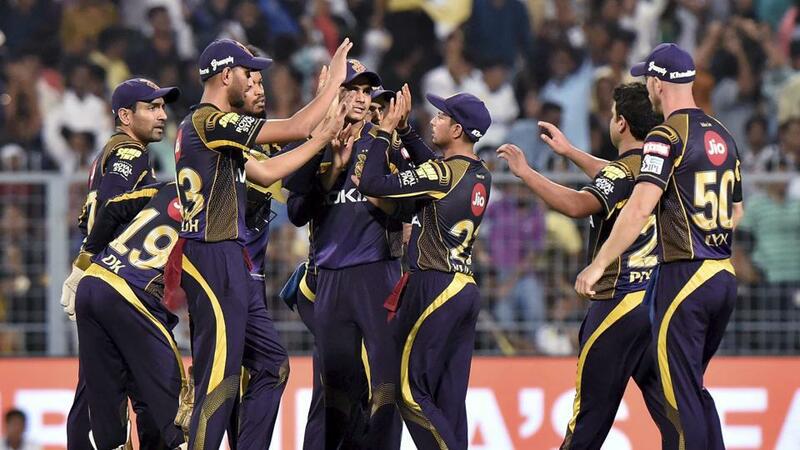 KKR were 4/1 in the innings’ second ball when Sunil Narine danced down the wicket to K Gowtham and was stumped. The early moisture in the wicket made the ball stop and Robin Uthappa looped it back to Gowtham. Problems came in triplicate for the hosts as Nitish Rana tried to scoop Jofra Archer and gave Jaydev Unadkat catching practice at wide mid-on. At 24/3, Karthik walked in. His first scoring shot was a boundary, off his legs off Archer. Karthik then took to Unadkat hitting him for two successive fours; both on the off-side, the first over the in-field and the next kissing the ground and bisecting cover and mid-off. That over yielded 14 runs and helped KKR end power play at 46/3. They could better it only in the 14th over when Karthik and Gill took 20 and hit the innings’ first six. It set the stage for Russell’s pyrotechnics. With the wicket easing out, RR began well and Rahul Tripathi took to Sunil Narine who went wicketless and conceded 39 runs. Rahane and Samson took it forward but in the end they could only do the best with what they had.